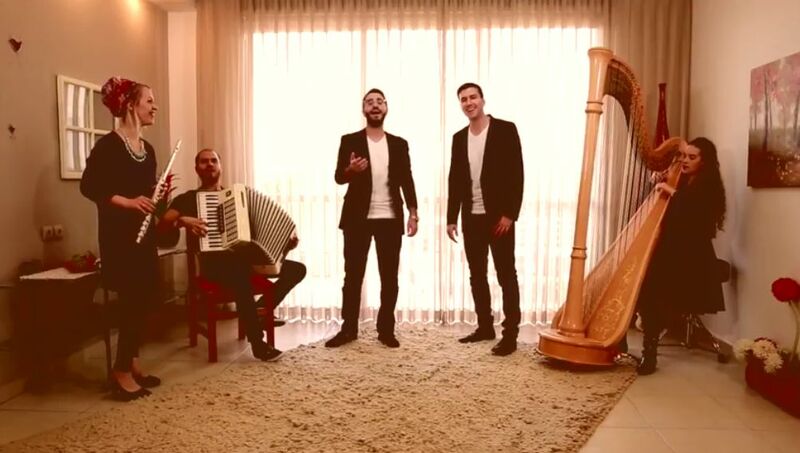 Jewish Humor Central: Welcoming Shabbat with Lecha Dodi Version of John Legend's "All of Me"
Welcoming Shabbat with Lecha Dodi Version of John Legend's "All of Me"
This is a new version of the Bo'i B'shalom verse of Lecha Dodi by Harp and Love – a musical group from Israel that specializes in wedding music. It's set to the music of John Legend's song All of Me. The Hebrew text and English translation appear below the video. בּֽוֹאִי בְשָׁלוֹם עֲטֶרֶת בַּעְלָהּ. 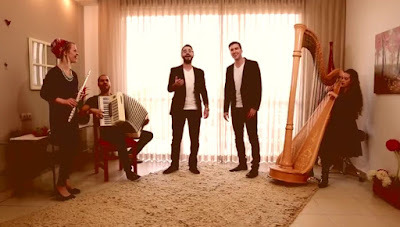 גַּם בְּשִׂמְחָה וּבְצָהֳלָה. Come in joy, let your brightnes​s shine. Come in peace, Shabbat Bride. the harp is beautiful to listen to. Didn't the neighbors object to the "noise"? Just beautiful. Sounds like a Sepharadic tune.